This report provides a complete list of coal mine fatalities in Kansas during the 1916 calendar year. 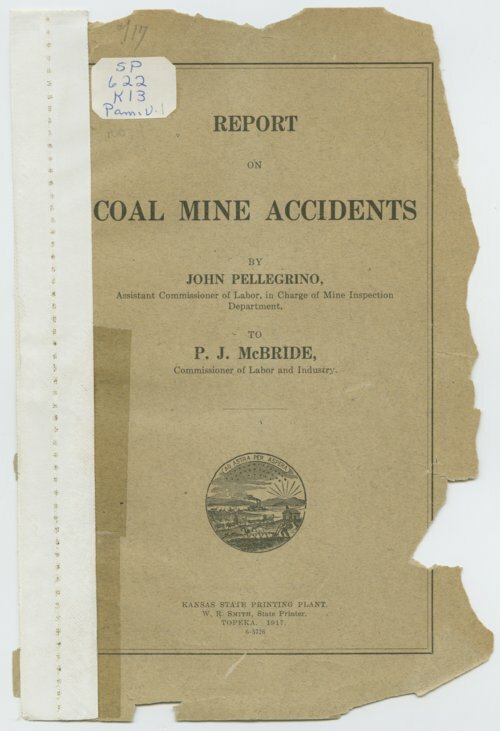 It also includes reports with testimony on the Carson Coal Company accident (Osage City) that occurred December 28, 1916,(page 10) and the Fidelity Coal and Mining Company accident (near Stone City) that occurred December 13, 1916, (page 28). It was prepared by John Pellegrino, Assistant Commissioner of Labor in charge of the Mine Inspection Department and direct to P. J. McBride, Commissioner of Labor and Industry.